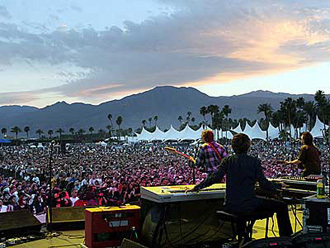 It’s that time of year—the hype for Coachella Valley Music and Arts Festival 2011 has arrived! Rumors of scheduled artists and headliners have tainted the web. Over 10,000 message threads and 400,000 individual posts occupy the official Coachella Message Board alone. Line-up wish lists from fans take up countless independent blog sites as well. While the actual 2011 artist lineup will not be released until the end of January or beginning of February, the history of the music festival assures festival fanatics that this year’s will be nothing less than sensational.